It’s a match made in hunting Heaven. The team at Rhino Blinds, manufacturer of the world’s greatest ground blinds, have partnered up with everyone’s favorite Bone Collector crew to create the ultimate ground blind for hunters. 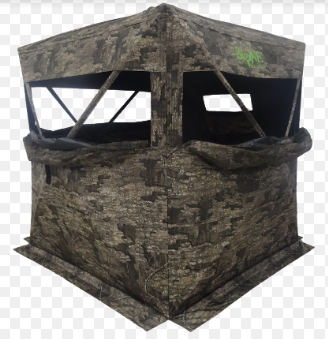 With the release of the Bone Collector edition Rhino 150, Rhino Blinds brings to market a budget ground blind that doesn’t sacrifice quality or high-end features. The lightweight Rhino 150 is easy to set up and large enough to comfortably fit you, your gear, and even a couple of your hunting buddies. The blind is available in RealTree Edge and RealTree Timber camo patterns, so whether you’re after whitetail or turkey, your new Bone Collector edition Rhino 150 will keep you concealed in comfort. The crew at Bone Collector know a thing or two about killing big bucks and trophy Toms. So, with their help, Rhino Blinds set out to develop the most feature packed hunting blind available. The Bone Collector Rhino 150 is the culmination of years of hunting experience and state of the art technology. When you’re chasing the trophy of a lifetime you shouldn’t leave anything to chance. Hunt with the team at Bone Collector and Rhino Blinds in the new Bone Collector edition Rhino 150. When you want the best ground blinds on the market, look no further than Rhino Blinds. 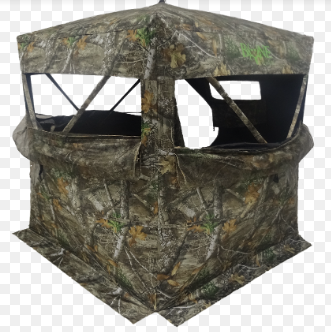 With multiple layouts, sizes, and materials to choose from, Rhino Blinds offers a premium ground blind for every hunter’s budget and hunting style. 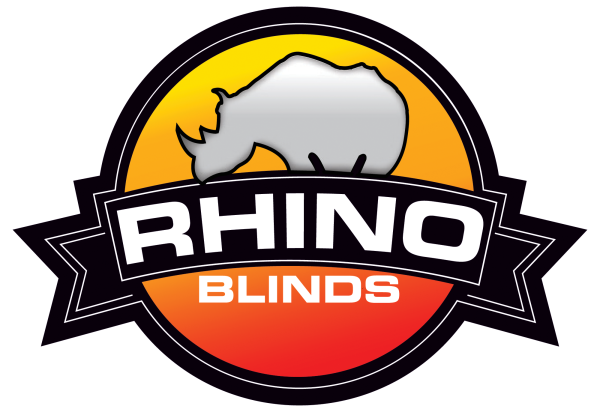 Rhino Blinds offer a truly silent hunting experience through the use of their innovative silent slide window track system and zipper-less doors. The 5-Hub designs offer maximum strength and adding natural concealment is simple and easy with full length brush straps at both the top and bottom of the blinds. All Rhino Blinds come with a convenient backpack, stakes, and tie downs as well as a 1-Year Warranty. When you’re trying to get that trophy in close, trust the ground blind experts at Rhino Blind and the premium features in the Bone Collector edition Rhino 150.